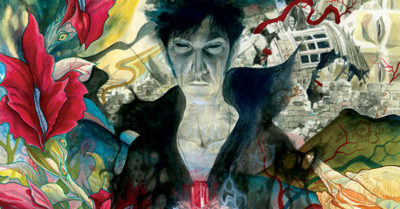 Instead, The Sandman became the springboard off of which Gaiman launched his multimedia fame in a miraculous three-year run from 1990-93 that saw him release Books of Magic at DC, the novel Good Omens (with Terry Prachett), win a World Fantasy Award in a category where Sandman wasn’t even eligible, essentially give birth to what we know as the modern American graphic novel market with the first two Sandman trade paperbacks, and top it off with the landmark Death: The High Cost of Living (the collection of which would be introduced by his friend and frequent name-checker, Tori Amos). I was vaguely aware of The Sandman pretty early in my comic collecting. I started before its run was halfway through, and I remember seeing its covers on the shelves. Yet, it always seemed too sombre and complex to me – like an impenetrable Shakespearian soap opera where slow-moving people bite their thumbs at each other for issues at a time. By the time I caught on to the epic mythology of the series (which it turned out was totally up my alley, both then and now), it was too late. I jumped in with “The Wake,” the final arc of the series. It was interesting, but I wasn’t hooked enough to continue to the follow-up series The Dreaming. While I was away from comics, the extended Sandman Universe continued to evolve. Sandman begat Sandman Mystery Theatre (which focused on Dodds) and transformed into The Dreaming and, later, Lucifer – which ran just as long as Sandman. 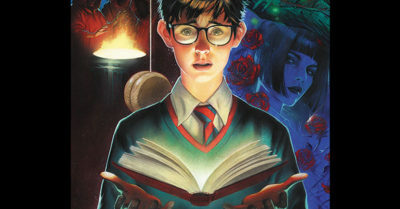 Books of Magic, a sort of proto-Harry Potter, kept going and going – through its own 75-issue series and into a string of follow-ups that would carry it through 2005. I’m not sure why all of these Sandman Universe titles and characters fell away in the mid-2000s. Maybe it was Gaiman too busy being a literary rock star to offer his stewardship. Maybe the rest of comics had become grown up enough that Vertigo books didn’t have the hook they once had. Or, maybe characters and concepts in comics are simply cyclical and need some time to rest. 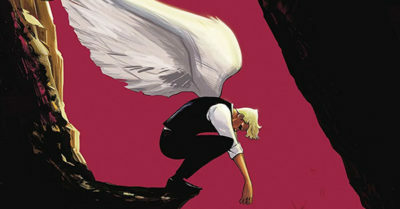 That time has ended in 2018, with Gaiman returning to his signature comics creation to curate a line of four new “Sandman Universe” ongoing titles – The Dreaming, House of Whispers, Lucifer, and Books of Magic. That announcement inspired me to finally pull down my four Sandman Absolute Editions off the shelf to start reading them (some of which can be seen on my YouTube channel!). Except, being the completist that I am, I wondered, “Should I get the fifth volume? What’s even in it?” And, if I did buy it, would that obligate me to pick up Absolutes of Overture and Death even though I already owned deluxe editions of them both? It’s these sorts of questions that got my comic guides kicked off eight years ago. In trying to understand what the fifth Sandman Absolute Edition collected, I started trying to understand how those volumes lined up with the paperbacks and omnibuses. 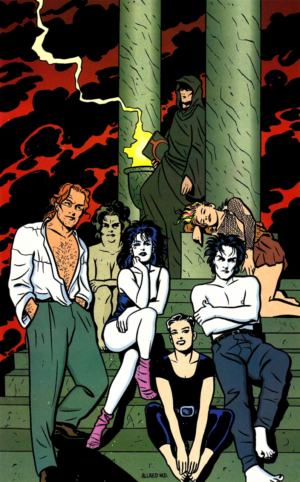 That lead me to realize that the Sandman Universe wasn’t just the three franchise titles of Sandman, Books of Magic, and Lucifer. The Dreaming had lasted for 60 issues, and it wasn’t even about the new Dream, as I had always assumed! I had no idea that Sandman Mystery Theatre had run as long as it did or how it interacted with Golden Age stories. Plus, there were over a dozen other Sandman Universe mini-series and one-shots, many named “The Sandman Presents” but plenty of them obscure titles I had never even heard of before. Oh, and did I know that Destiny of The Endless had actually been the narrator of DC’s 1970s Horror anthologies?!?! Thus, a copse of new guides sprung up. While I had intentions of creating a Sandman guide earlier this year, I never pictured it being this huge, spanning from 1939 to present day across multiple pages and including a complete guide to several Sandmen plus all seven Endless. Yet, as I worked on it, I kept encountering new questions that no one page on the internet seemed to be able to answer – which is always a sign that I’m on the right track in building a Definitive Guide. And, hey, if you just want those 10 convenient Sandman paperbacks, I explain those, too! Want access to this guide today? It’s available in exchange for covering $1.99 a month of CK’s hosting expenses. Those “Pledgeonaut” Patrons now have access to 35 exclusive guides – more the one guide per dollar of pledging per year at the Pledgeonauts level! Current Exclusives For Pledgeonauts ($1.99+/month): 35 Guides!